Snow mold can really do a number on your lawn. The mornings are getting chillier and your coffee has made the switch from pumpkin to peppermint, which both point to one thing—winter is here! With snow, sleet, and ice on the way in the coming months, how can you prepare your yard for the weather ahead? Here are some tips for treating and preventing snow mold in your landscaping. 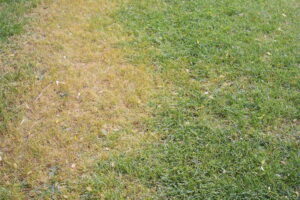 Snow mold is a lawn disease that is very common in places that snow still falls or sits in the late winter and early spring. It doesn’t look like the mold you find in your home or on food. Instead, it appears as gray or brown spots on your lawn that can be anywhere from an inch to a foot long. Textured gray strings of snow mold called mycelia can also appear around the area. Snow mold is bad because it can kill all of the grass in the areas that it covers over time, even if you don’t think you notice any difference in your lawn. Snow mold can be prevented through properly taking care of your lawn. Some ways that you can keep your lawn in top shape include mowing through the fall, even if your lawn has gone dormant. Keep your yard clean of any leaves or yard debris so that spores won’t have food or a place to grow. If you have had trouble with snow mold, forego a fall application of nitrogen or compost. If your yard has soil that is compacted, the top layer will stay moist after the snow has melted in other spots, making it more likely to have an issue with snow mold. Don’t immediately reach for harsh chemicals that can destroy your lawn and the environment. 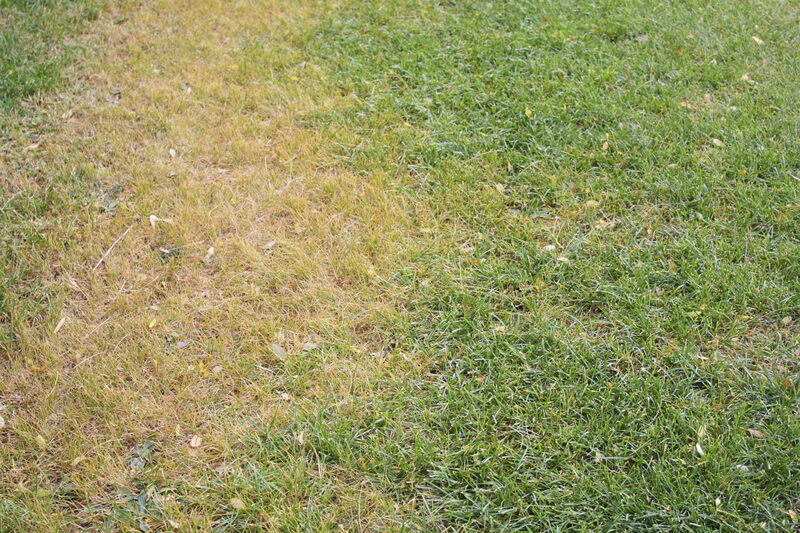 Try solarizing the parts of your lawn that have snow mold in the spring. This process uses sunlight to heat the soil and kill off the snow mold. Enrich your soil with compost during the prime growing season to make sure that it is full of microbes that will fight off the snow mold. If you are looking for help keeping your residential or commercial lawn free from snow mold and other lawn diseases, Atlantic Maintenance Group is ready to help you with our variety of landscaping, asphalt, snow removal, and concrete maintenance services. We are experts in our field and we are prepared to meet your needs with a price and product that will leave you grinning. If you’re interested in getting a free quote or more information, visit us online or give us a call at (410) 768-4720. To see examples of our work and stay up to date on our specials, follow us on Facebook, Twitter, Pinterest, and Google+. This entry was posted on Friday, December 9th, 2016	at 2:44 pm	and is filed under Snow Mold	. You can follow any responses to this entry through the RSS 2.0	feed. Both comments and pings are currently closed.